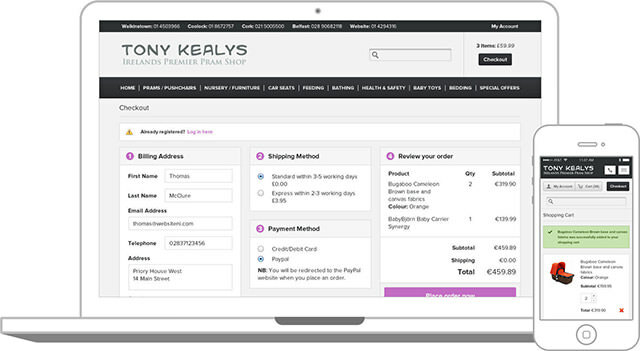 Tony Kealys is one of Ireland’s premier nursery retailers. 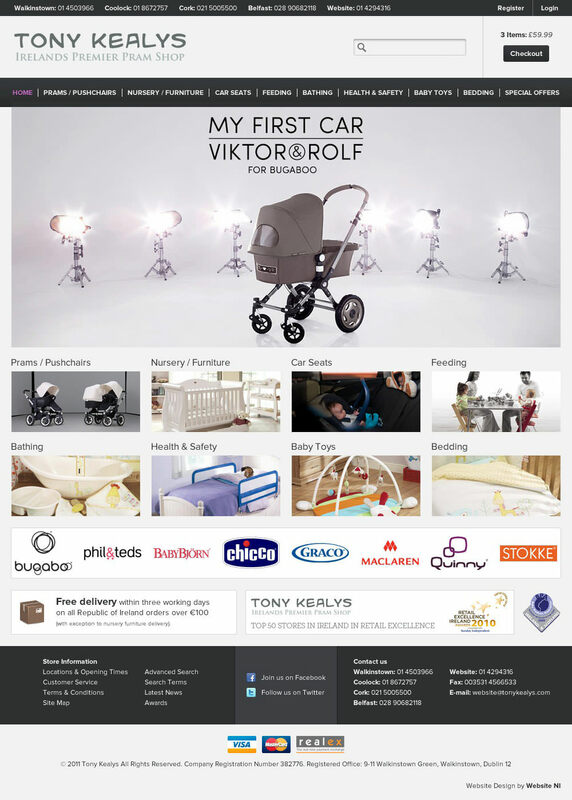 I redesigned their eCommerce website to make sure it was optimised for all devices and screen sizes. 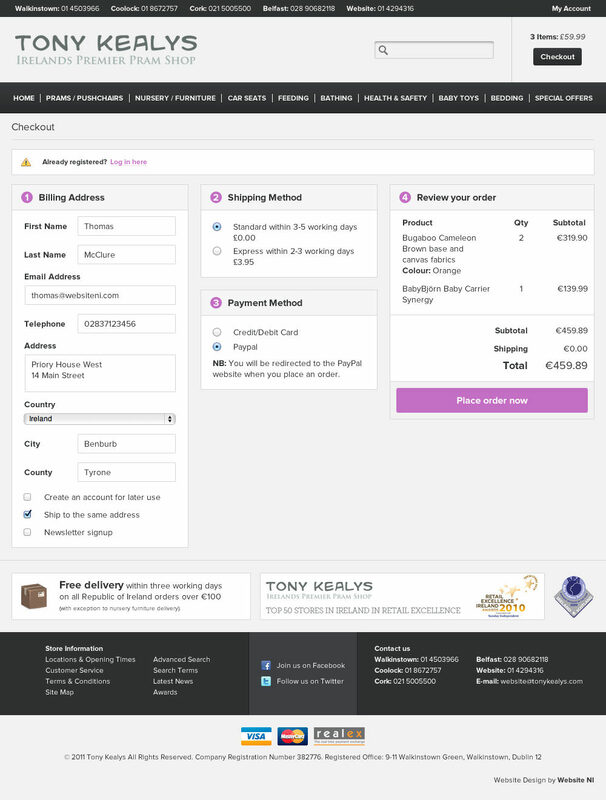 A major part of this project was to optimise the key pages, especially the checkout, for conversions. 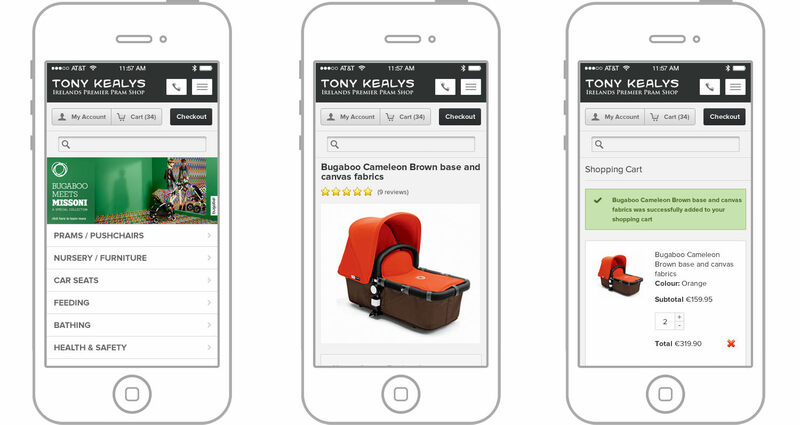 Whilst working at Website NI, I helped redesign Tony Kealys’, one of Ireland’s premier nursery retailers, eCommerce website. 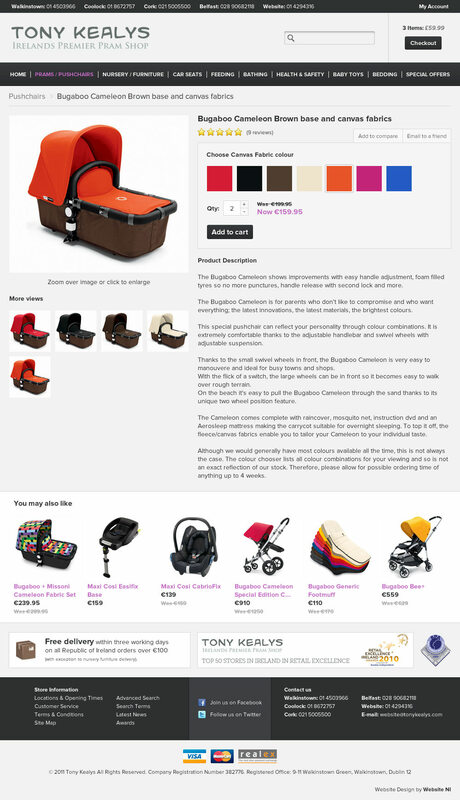 With mobile traffic increasing, we needed to ensure the website was optimised for all devices and screen sizes. We optimised every key page to improve conversion but after carefully analysing the previous design’s data one area that needed much improvement was the checkout process. 50% of users, with items in their basket, were leaving at this stage without completing the purchase. The reason was that the previous design was a pain to use. It contained too many stages with too much unneccessary information sought from the user. 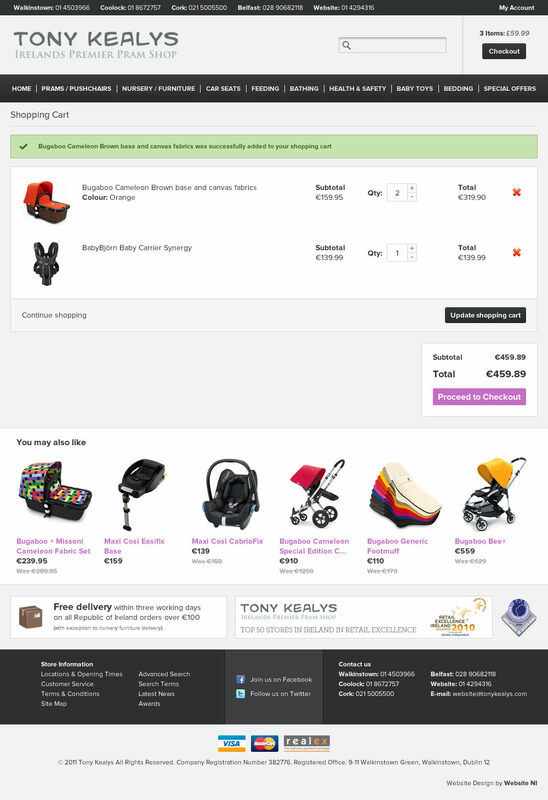 We optimised the process to four distinct stages and decided to show them all on one screen so the user could clearly see what was needed from them to complete the purchase. Also, while the previous design allowed the user to purchase as a guest it wasn’t particularly clear or straightforward. The user had to complete two actions - select a radio button, then click continue before waiting for the next stage to load. 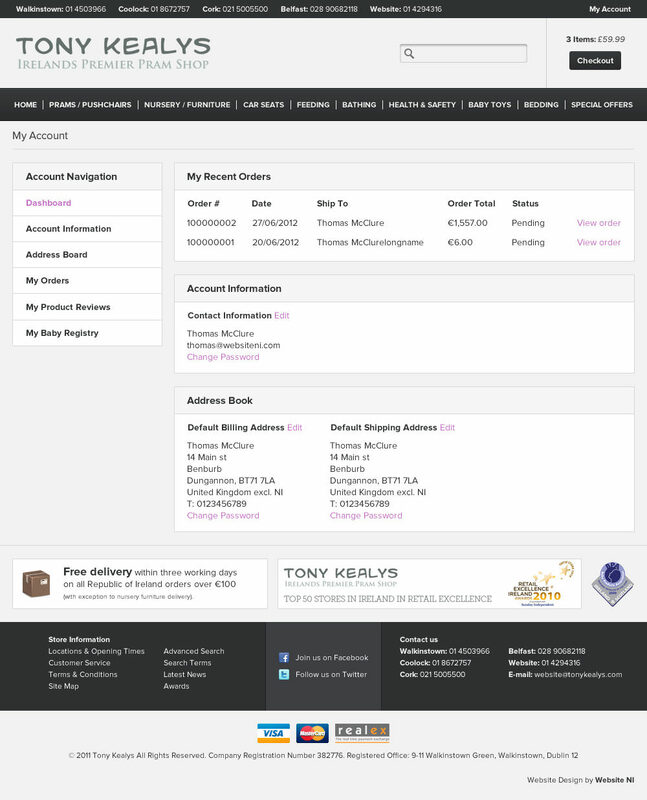 Now, with this new design, the user can clearly begin to fill in their details without having to think about it. We’ve included features like signing up for a newsletter and creating a new account in an unobtrusive way as our main conversion goal is for the user to purchase. Want to work on a project?